-Outstanding Value for Money for horsepower gain. Sport Compact EFI Single Nozzle (60 / 45psi). 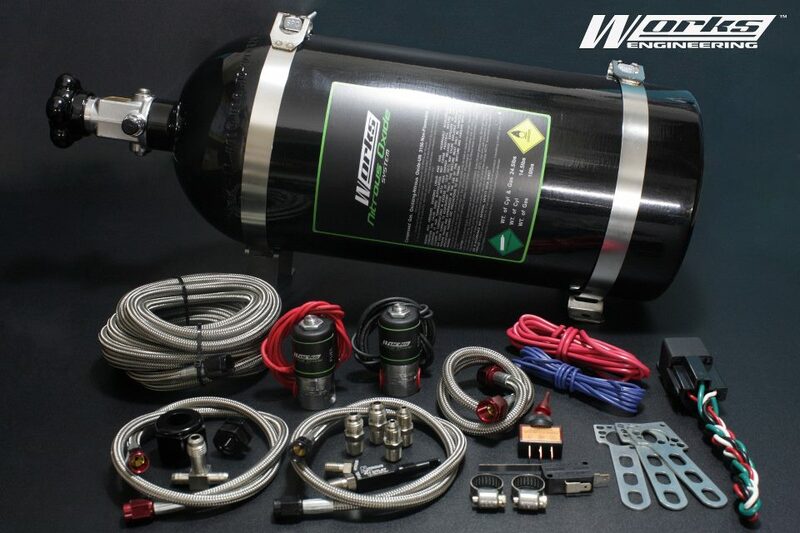 Works Engineering Nitrous Kit comes complete with 800hp bottle valve, 16ft main feed line, solenoids, hoses, nozzlem electrical connectors, all firrings and hardware. Let’s have a look at how nitrous oxide can breath new life (and power) into your engine!